CHUWI Hi9 Plus vs Chuwi Hi9 Air Copmarison Review: Which One You Want? You are at:Home»COUPONS»DEALS»CHUWI Hi9 Plus vs Chuwi Hi9 Air Copmarison Review: Which One You Want? When we speak of Chinese manufacturers immediately come to mind names like Xiaomi, OnePlus, Huawei and many others – however, there are also the group of lesser-known brands such as, for example, Chuwi, who has gradually gained the sympathy of many thanks to their great products. The brand is known in its category for manufacturing laptops and tablets, avoiding the “smartphone” focus, a market that is increasingly saturated, making competition more difficult. CHUWI Hi9 Air and CHUWI Hi9 Plus both are the most popular tablet of the moment thanks to the particularly advantageous price and the hardware equipment of all respect. There are already known specifications and features. Here is a comparison between the CHUWI Hi9 Air vs CHUWI Hi9 Plus. Chuwi Hi9 Plus looks like a regular tablet, designed similar to the Chuwi Hi9 and Chuwi Hi9 Pro. In this sense, only the Chuwi Hi9 Air from this series comes with another design. The housing is made of metal. All the recent Chuwi tablets are built with a high quality. 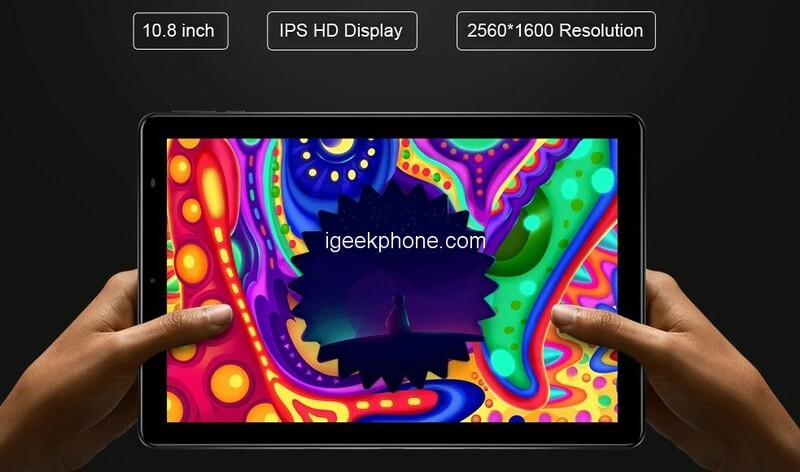 The display comes at 10.8 inches and has a resolution of 2,560 × 1,600. There are also connectors on the side. Thus, you can dock a keyboard and use it as a full-featured laptop. But do not confuse it with other Windows tablets that come with such a design. This is an Android-powered tablet PC. Of course, it’s recommended to use the keyboard made for this product mainly. The Chuwi Hi9 Plus is not the thinnest tablet we have ever seen, but the 8.4mm thickness allows users to hold it in hands and make various operations easily, without a pressure on hands and palms. At the same time, this tablet weighs only 550 grams. 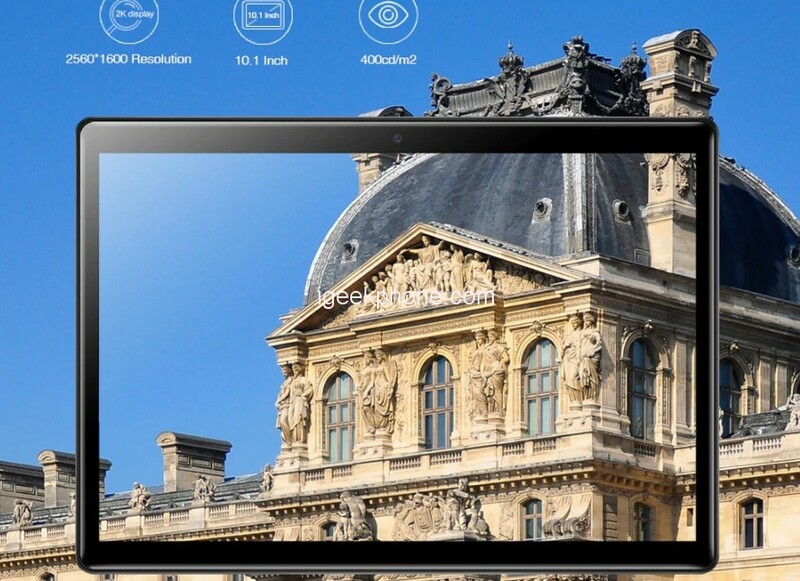 And Chuwi Hi 9 Air Tablet PC not only comes with a 10.1-inch screen but also has the resolution of 1920 x 1080 (FHD). The image of ratio 16:10 10.1-inch that of widescreen movies. The 2k video comes from our 298 PPI density. you will find even the finest of details are made visible with HD+. What’s more, Chuwi Hi 9 Air Tablet PC adopts OGS (One Glass Solution) full lamination technology for the first time. The LCD screen and touch screen are close to a zero gap. Compared to the typical lamination technology, this reduces the air refraction between TP and glass significantly, making the picture brighter and more vivid. by reducing the internal layers between TP and glass, it lays the foundation for the lightness and thinness of Chuwi Hi 9 Air Tablet PC, which makes it possible to take the tablet by a single hand. 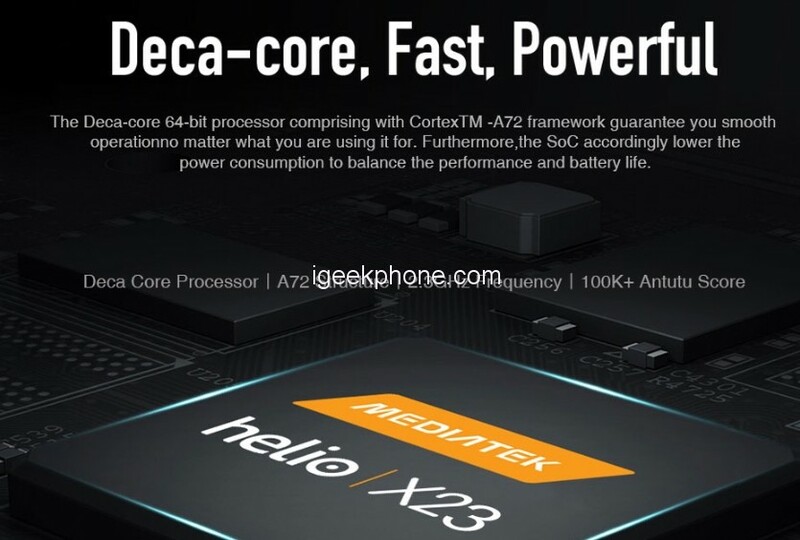 Chuwi Hi9 Plus powered by MTK Helio X27 deca-core processor, which can clock at the main frequency up to 2.6GHz. 4GB RAM + 64 GB ROM large memory provide the icing on the cake. The memory of the tablet can also expand up to 128GB with TF card expansion. Most notably, the CHUWI Hi9 Plus packs an astonishing 7,000mAh battery into the 8.1mm ultra-thin body. Which provides excellent battery backup and, standby time for more than 15 days. And The Chuwi Hi9 Air is powered by a tablet-focused SoC, the MediaTek MT8173 processor. Though old, the processor comes with four high performing Cortex-A53 cores that can clock up to 2.0GHz. The device comes out-of-the-box running the Android Nougat OS (v7.0). Moving on to storage, there is 4GB of RAM aboard to ensure smooth and flawless multi-tasking on the Hi9 Air tablet. The 64GB built-in storage should do well to keep hold enough files, documents, multimedia, app data and more. If the internal memory doesn’t satisfy your storage needs, there is a dedicated memory card slot that allows you to double the internal storage. Chuwi Hi9 Plus support for a stylus with 1024 levels of pressure. It includes in its upper part a webcam with an 8MP microphone, a pair of another rear one with an 8MP flash. At the level of wireless connectivity includes WiFi Dual-Band AC, Bluetooth 4.1 and as for connectors we have a 3.5mm audio jack, a USB Type-C port, and slots for Dual SIM of your 4G-LTE modem. It also has FM Radio and GPS with GLONASS support. We also found a connector for the optional magnetic keyboard, The operating system is Android 8 Oreo with what we will be the last in this aspect. And the Chuwi Hi9 Air, Chuwi retained the same camera sensors like those on the Chuwi Hi9. The tablet sports a 5 megapixels shooter on the rear with features like digital exposure, autofocus, continuous shooting, geo-tagging and many more. The front camera is a meager 2-megapixels camera which like the rear camera, doesn’t come with LED light of any sort. On the Chuwi Hi9 Air seem like the battery capacity was the most improved feature and one to look out for the most. 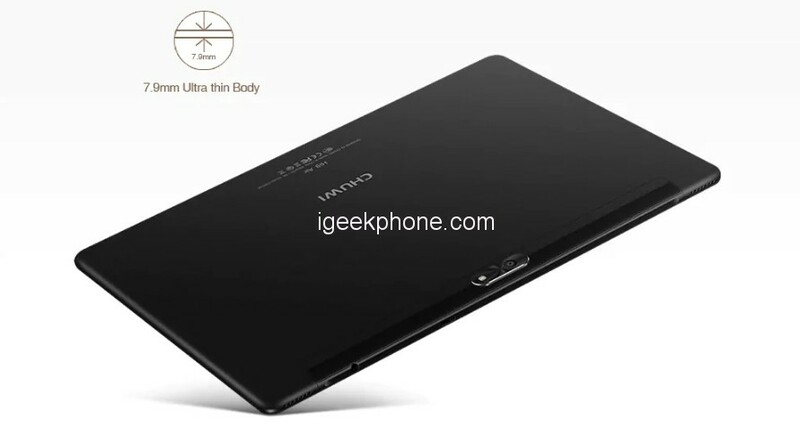 The tablet rocks a Lithium Polymer battery with a capacity of 8,000 mAh; almost twice that of the Chuwi Hi9. The battery is surely gonna last more than the average tablet out there but what I really can’t seem to fathom is why the tablet wouldn’t support Fast/Quick charging. Charging the device for 3-4 hours before getting a full charge is such a turn-off.